With money to spend and a developing farm system, the San Diego Padres seem poised to make a splash in Major League Baseball. They have been eerily quiet this winter and it has some very frustrated among the fan base. Apparently, San Diego isn’t immune to long, cold winters after all, because the Padres are right in the thick of one right now. Garrett Richards signed a two-year deal on November 29, but won’t take the mound until 2020. 36-year-old Ian Kinsler inked a two-year deal of his own on December 14. And…well, that’s about it. So what does this say about the Padres’ 2019 season, their contention window in the future, and the MLB free agent market as a whole? The “anyone can beat anyone on any given night” nature of baseball often translates on a macro level to year-to-year fluctuation in the standings that you don’t see in other sports–nobody expected Oakland to win 97 games last year. Conversely, the Mets entered the season with championship hopes and came out on the other side with just 77 wins to show for it. However, let’s be real here. 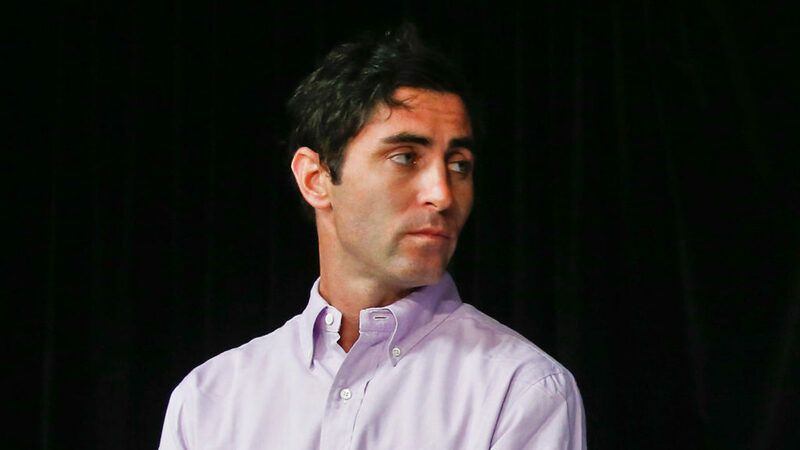 The Padres’ roster as it’s presently constructed is not a good one. At all. I would argue that anything better than a fourth-place finish in the National League West would be a minor miracle. What’s frustrating about this outlook is that it didn’t have to be this way. 26-year-old ace Noah Syndergaard was on the market for a hefty price, but not a price the Padres couldn’t pay. Jurickson Profar–the former top prospect who has shown signs of a breakout on the horizon–was nabbed by the A’s for next to nothing. He can play second and third base, where the Padres are currently slated to start some combination of Ian Kinsler, Esteban Quiroz, Ty France, Jose Pirela, and Greg Garcia. 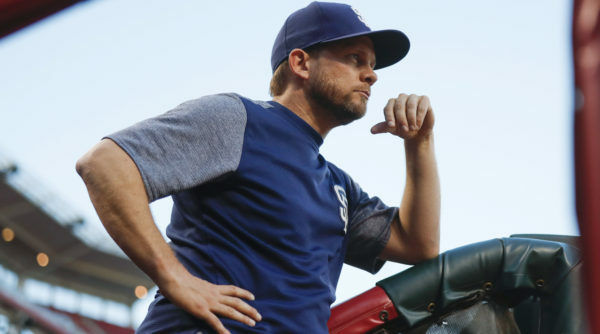 Other opportunities have presented themselves over the past few months that have come and gone as well, yet the Padres have largely sat on their hands with a last-place roster. Two things immediately stick out to me as troubling about that statement. First, the phrase “another season of development” implies there was a significant development that took place in 2018. If signing the most expensive free agent in franchise history and then proceeding to lose more games than you did the previous year constitutes development, then sure, that plan sounds solid. But for the rest of us with an understanding of the word “development,” buying into that plan isn’t so easy. Second, the “or ’21” tacked on at the end is equally as frustrating. This time last year, the absolute consensus was that the window of contention was 2019 or 2020 with .500 as the goal for 2018. 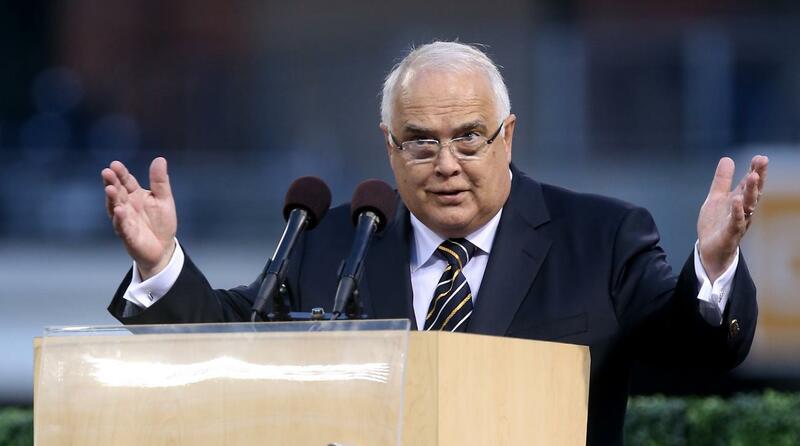 In 2016, Executive Chairman Ron Fowler was quoted as saying “I’m looking to get to .500 in hopefully two years.” So which is it? We were shooting for .500 in 2018 and went 66-97. We were shooting for contention in 2019 and now we’re punting it? What happens when these highly-touted prospects go through their inevitable early-career struggles in 2020, and possibly beyond? Do we move the goalposts then as well? Using “being within striking distance” as a crutch to justify passing on upgrades that are there for the taking is not going to result in a winning team. Albert Einstein had a pretty famous quote about the definition of insanity that seems to fit well in this situation. If you’re not familiar with it, I highly suggest Googling it. As for the free agent market–you know, the one that doesn’t require depleting baseball’s number-one ranked farm system to make upgrades–there are two franchise-altering talents to be had, still, in late January. 26-year-old, MVP-caliber free agents practically never hit the free agent market. It just doesn’t happen. And yet, Manny Machado and Bryce Harper are both exactly that, ready to become the face of a franchise. Why players of their caliber still remain unsigned this late into the offseason is certainly a deeper-rooted issue that has to do with contract structure and the increased numerization of the game today. You can’t blame front offices for not wanting to give out eight, nine, ten-year contracts to free agents who will only produce at that level for maybe three or four years. At the same time, you can’t blame bonafide superstars for seeking these contracts in a day and age when players are being seen as easily replaceable numbers rather than franchise players. It’s no wonder the MLB free agent market has stalled the past two years, and it’s certainly not an issue you can blame the Padres for. With that being said, Machado and Harper are not your typical free agents. This is not comparable to the Angels giving a 32-year-old Albert Pujols a ten-year deal in 2012; same goes for Seattle’s deal with 31-year-old Robinson Cano in 2014. Machado and Harper would be in their tenth and final year of a hypothetical ten-year deal at the same age that Pujols was in the fifth year of his. This is a rare opportunity to take a giant leap toward contention while making about as safe an investment as you possibly can in a big-time free agent. Not to mention Machado has spent the majority of his career at the most glaring positional need the Padres have, third base, and is probably one of the best defenders that position has ever seen. Even if he prefers shortstop, however, a left side of Fernando Tatis Jr. at third and Machado at short is not too bad. And by “not too bad,” I mean really, really good. It’s for this same reason that I’m still much higher on last year’s Eric Hosmer signing than most. He signed a front-loaded contract at age 28 that will run, assuming he opts in, through his age-35 season. His production was not worth $20 million in 2018, and quite frankly, barring injury, it can’t get any worse in 2019. But guess what? He gets a chance to redeem himself and return to all-star form again next season, and he’ll do so in a Padres uniform. What if he didn’t sign last year and the Padres once again sat on their hands? 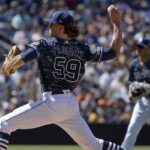 Are the Padres any better off right now? I don’t think so. If the Padres were to hypothetically sign Machado to the richest contract in the history of the sport in terms of average salary, they would still be in the bottom half of the league in terms of payroll. Think about that for a second. And then when you’re done thinking about that, think about this: what are the Padres really waiting for? I agree. Ownership has a pattern of moving the goalposts on when they expect to contend. The time is now. After the Hosmer signing there is no defense for waiting. They should look into Machado and Harper. Oh please, great Gods of baseball, don’t let AJ do it! Moustakas would be a much cheaper and better fit, and an infield of him, Tatis, Urias and Hosmer would be rife with possibilities. 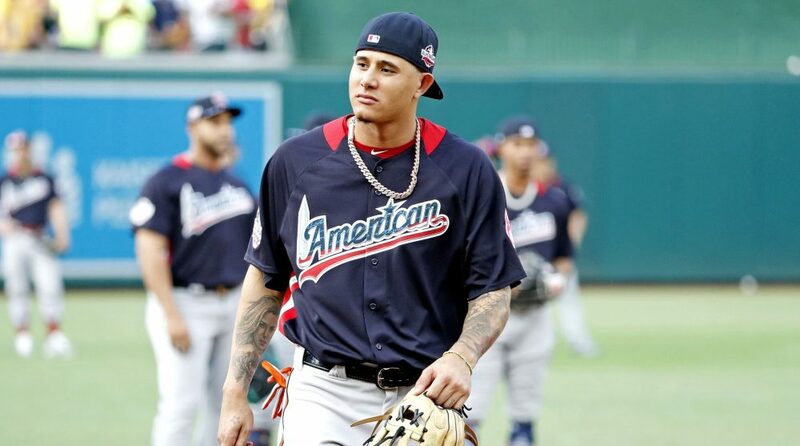 Machado is just the type of personality to coast once he has his pockets full of cash……..
That’s right, don’t sign Machado who is an elite player, but do sign Moustakas who is garbage. which player do you want? Player A, cheap on a year to year basis. His career numbers are .259 BA/.309 OBP/.392 SLG with and OPS+ of 91. Both are below average defensively and offer no value on the basepaths. Player B is slightly better, but far more costly. Over the next 3 years Player B figures to be 25 times as costly! Player A is Jose Pirela. I’m not a Pirela fan, but c’mon. Why spend even $12 mil for one year on an extremely marginal upgrade. If we can’t sign Machado I’ll take Pirela over Moustakas all day. If the Padres sat on their hands last year regarding Hosmer and he was forced to sign a one year deal somewhere else they could have gotten him a lot cheaper this year. And if he somehow got a multi year contract elsewhere no great loss. He isn’t an elite player at one of the positions easiest to fill. The Padres would have been better off leaving Myers there. You should pay for production not some nebulous definition of leadership. You might be a little premature in your judgement. He brings a lot of intangibles to the team, is not injury prone, and does not have the personality to mail it in because he already has the big bucks. I really think he will prove to be a good bargain over the years. Guess we will see…….